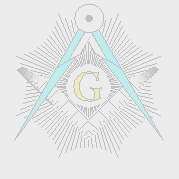 The basic Masonic body is the "Masonic lodge", which alone can make a Mason, and confers the first three degrees in Masonry, being that of Entered Apprentice, Fellowcraft, and Master Mason. Leesburg Lodge No. 58 is proud that a number of our members have continued their Masonic education through active participation in one of several Masonic appendant and concordant bodies. Here we provide an overview of some of those organizations and links to websites which will provide detailed information. If you want additional information just give us a call or contact the local body in your area. Order of the Amaranth is a Masonic-affiliated women's organization founded in 1873. As in the Order of the Eastern Star, members of the Order must be age 18 and older; men must be Master Masons; and women must be related to Masons as wives, mothers, daughters, widows, sisters, nieces, aunts, et cetera, or have been active members of the International Order of the Rainbow for Girls or Job's Daughters International for more than three years and be recommended by a Master Mason. Amaranth was based on Queen Christina of Sweden's court. Christina had created the "Order of the Amarantha" for the ladies and knights of her court. In 1860, James B. Taylor of Newark, New Jersey drew upon this order to create a new fraternal society. In the Order's teachings, the members are emphatically reminded of their duties to God, to their country and to their fellow beings. They are urged to portray, by precept and example, their belief in the "Golden Rule" and by conforming to the virtues inherent in TRUTH, FAITH, WISDOM and CHARITY they can prove to others the goodness promulgated by the Order. Amaranth is organized into Courts, under Grand Courts at the State level. The primary body is called the Supreme Council. Women members of the Order are addressed as "Honored Lady", while men are referred to as "Sir Knight". For more information on Order of the Amaranth, click here. For more information on Tall Cedars of Lebanon of North America, click here. Job's Daughters International is a Masonic sponsored youth organization for girls aged 10 to 20. The organization is commonly referred to as simply Job's Daughters or Jobies, and is sometimes abbreviated and referred to as JDI (or IOJD, the original initialism). Job's daughters is focused on the Holy Bible but celebrates and welcomes many religions and cultures. For more information on Job's Daughters International, click here. High Twelve International is over 75 years old. It was founded in Sioux City, Iowa, on May 17, 1921 by E.C. "Wallie" Wolcott. It is an organization of Master Masons who support Masonic causes with special emphasis on youth and patriotic events. There are approximately 21,000 members in 350 clubs nationwide and in foreign countries. High Twelve is non-political and non-sectarian and is composed of Master Masons who have a keen interest in the welfare of humankind and take an interest in civic affairs. High Twelve members, as Master Masons, seek to serve civic, patriotic and humanitarian causes and institutions through fellowship, interesting programs and projects. For more information on High Twelve International, click here.